Looking for a healthy spicy shrimp recipe for any day of the week? Look no further! 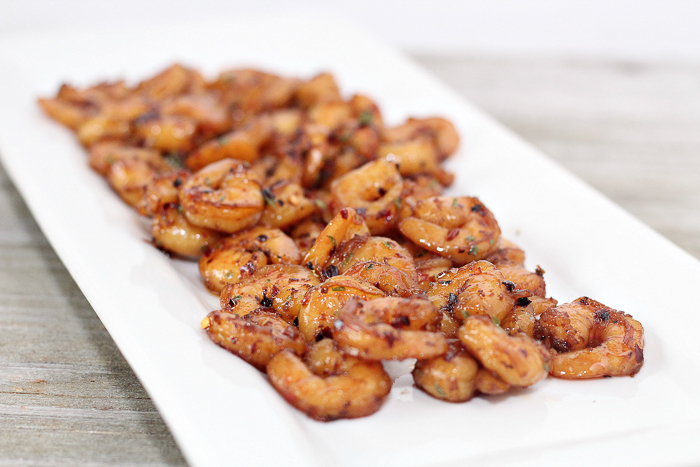 These easy to make shrimp will knock your socks off! You can actually make them as spicy as you wish. That way you can customize this recipe to fit the tastes of your entire family. Now, whip up this recipe and serve it up with a couple of sides for a healthy meal in no time at all. Add about 1/4 of an inch of olive oil to a cast iron skillet. Heat up the oil over medium/high heat. Then add in your garlic, red pepper, and lemon peel. Stir. Then stir and flip the shrimp frequently until they are golden and cooked through. Drain grease and place on an appetizer plate, sprinkle with extra red peppers if you desire. Serve up your spicy shrimp and enjoy! 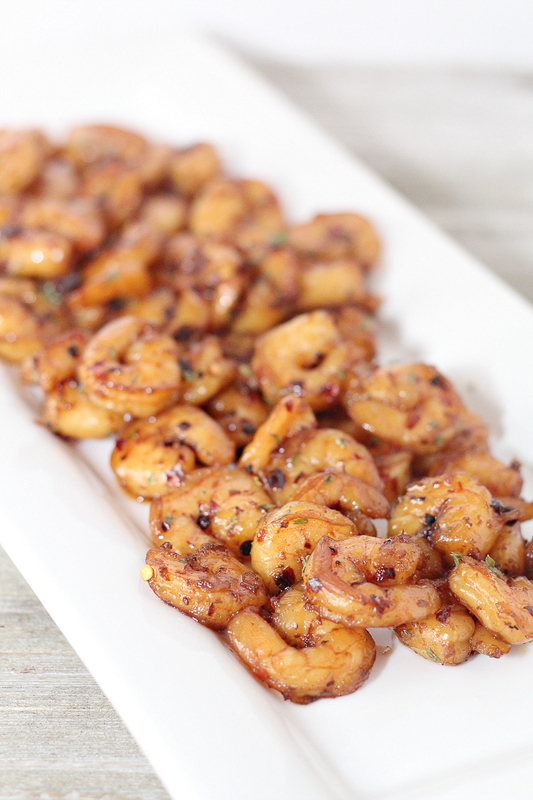 This spicy shrimp recipe is delicious and gorgeous! Enjoy as a main dish or as an appetizer for a party. Either way, your entire family will love diving into a plate of these! You might even need to double the recipe. I mean who doesn’t love shrimp? And when they are healthy and easy to make….well that is just a win-win! 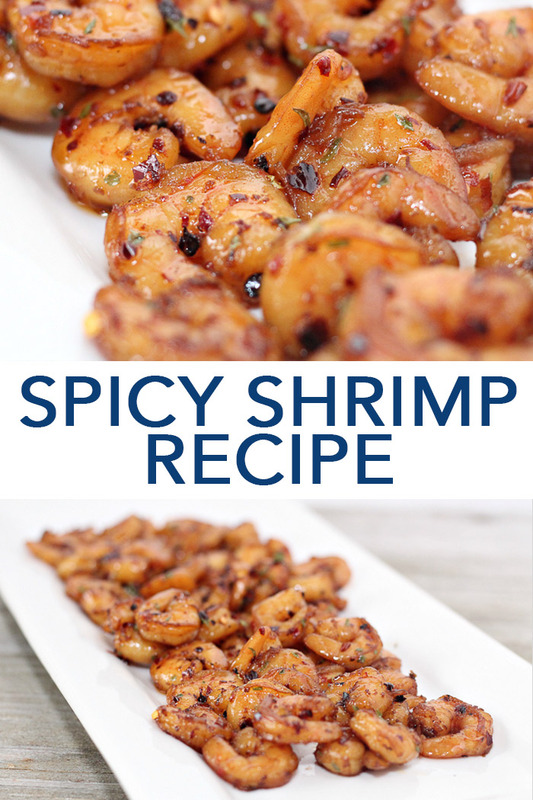 Grab the ingredients to make this spicy shrimp recipe for your family tonight! Trust me…you can’t go wrong with this one. 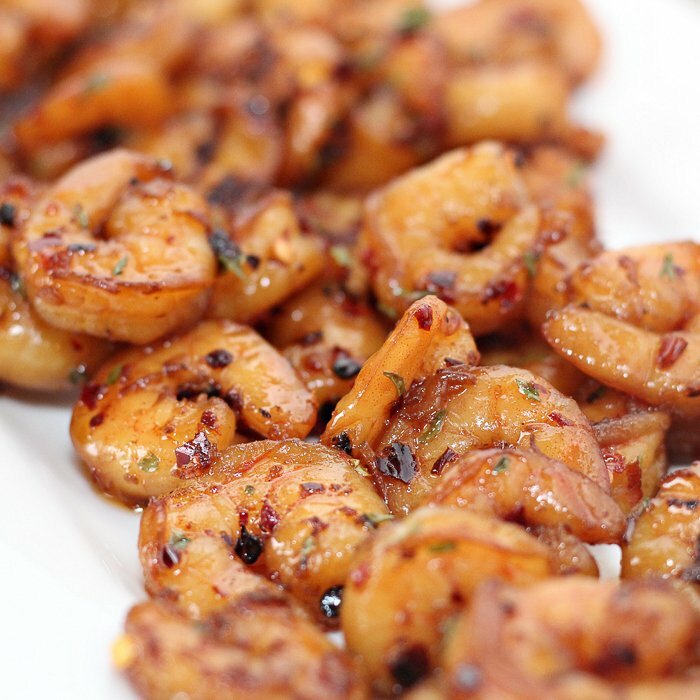 Do you love this spicy shrimp recipe and want more ideas? You can also try the links below!